Uganda Airlines To Begin Flying In August, Says Works Minister. 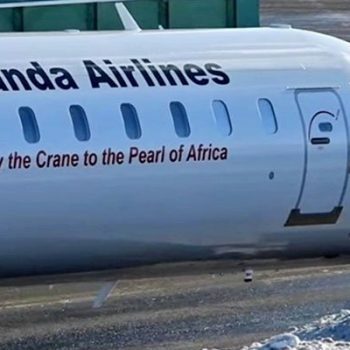 Uganda Airlines will take up to three months before it can begin doing commercial flights, according Works and Transport minister Monica Azuba Ntege. The airline, which is expected to bring in two aircrafts before the end of April and July, will in the three months, Ms Azuba said, be conducting demonstration flights to neghbouring countries as well as fulfilling other process such as acquisition of an air operators certification. Speaking in Kampala yesterday, Ms Azuba told journalists that the tentative arrival of the aircraft in Uganda is April 23.